Johnny Cash had a specially made Martin D-35 which he uses for a couple of decades. Some say it was his favourite guitar. The first thing that stands out about that guitar is the black finish. Johnny Cash’s signature model was the first, black Martin guitar. 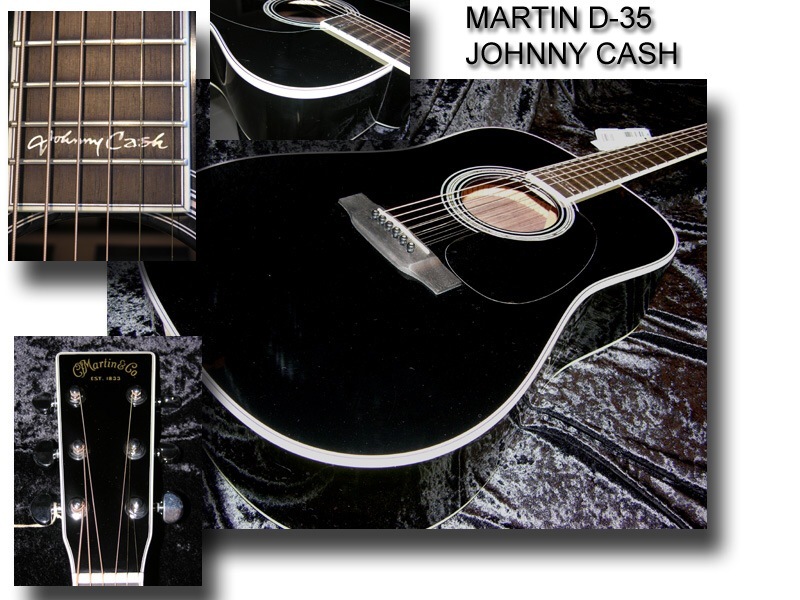 Martin decided to commemorate Johnny Cash by producing the D-35 JC for anyone to buy! Underneath you’ll find specs of the guitar, and the pictures of the guitar comes from Martinguitar.com and Gearmusic.com.